Today more and more businesses begin using learning management systems to assist with their business operations, staff and talent management, and to improve their general efficiency. 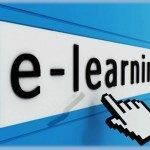 For those without much experience with that kind of tools, learning management systems are designed to automate various administrative tasks connected with training, including such elements as: registering users, creating courses, recording data, charting the progress of learner toward certification, and producing reports for managers. What is more, such tools work as a way to provide eLearning materials to learners and students. These days, there are many various types of learning management systems available used by people and organizations to deliver course materials and manage eLearning to users or employees. While a quick review of types of learning management systems can show you that they basically share similar purposes, the platforms have individual features which can vary widely. So, how do you find therefore the right one for you? This is where this comparison of types of learning management systems can help you. When selecting among the different types of learning management systems available, it is crucial for you to evaluate how you plan to deliver training modules to your would-be learners or students. You should also the needs of your organization or business and match them with the right learning management solution that has the corresponding features. 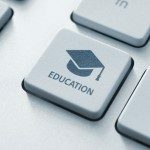 Arguably, this is one of the first considerations people and organizations consider when selecting their solution from the types of learning management systems available. Should you get a commercial learning management platform, or one that has no cost at all? Or should you go with the demo version first? These choices have their own benefits. Definitely, we would like to consider systems that do not cost us a penny. Open-source software programs are usually available for anyone to use, without charging any fees. They can also be quickly customized to cater to the needs of the organization. However, many of these products are generally more complicated than the ones that are available for commercial purchase. They are usually used by users who are more sophisticated and specialized. In addition, no-cost products usually do not have a “support” system, making even the smallest changes quite difficult to do especially for novice users. They would usually get support from searching on online forums or in some cases, a separate and paid support service. On the other hand, commercial learning management systems usually offer a support staff as well as much quicker to deploy and use. However, obviously it charges you for usage frees. Among the commercial products, there are usually two main kinds: the installed option, or the service-based cloud. Another consideration for learning management systems is their capacity to scale up and down easily and quickly. Typically, commercial products are sold either as an enterprise product locally hosted on an organization’s own servers or as a SaaS (software-as-a-service) product, which is then hosted on the servers of the product vendor and can be accessed from anywhere. Usually, SaaS learning management systems offer more flexibility to scale up or down. Since the platform is being sold as a “service” (typically monthly), the vendor is the one responsible for making systems upgrades, providing IT support, and freeing up bandwidth. Because your data are not stored on your local servers, scalability is not really a concern. Many SaaS platforms can be scaled up or down with ease by a lot of users. On the other hand, a locally installed learning management system gives people and organizations the capacity to customize and individualize the platforms according to their needs and wants. If your organization already has an information technology staff that can manage a locally installed platform, including scalability and customization issues, locally hosted products can become very powerful tools. One concern is also the ability of the learning management system to produce training content. There are cases where the learning management system is just a conduit to distribute contents of the course, which are created elsewhere, using a learning content management system. Some learning management systems have authoring tools that enable course designers and trainers to develop unique content. Some provide separate course-creation tools. Learning management systems have certainly come a very long way from the first days of e-learning. As learning management systems are becoming more sophisticated, among the most exciting trends is the capacity for the platform to integrate with various applications your organization or company are already using. Such applications may be internal-based such as internal calendars or email or social networks such as Twitter and Facebook. Some learning management system products may also closely integrate with talent management systems, which usually focus more on providing support to various human resource staff functions such as performance management, recruiting, and payroll. Depending on the needs of your organization, you may need to look for the right learning management system that provides this application integration. Litmos tackles tips how to get the right learning management system that cater to the needs of your business. 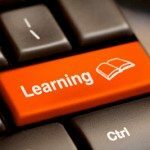 Left Brain Media gives a listing of today’s learning management options to see which fits your business. What Is The Best Learning Management System?